In 2017, Turnberry Village sold a total of 10 condos; 2 of which The Bouma Group was involved with. The sales increased by 1 condo compared to the previous year. On average, the sale price exceeded the listing price allowing home owners to make profit. $190,000. 3151 S. Village Cir., Ann Arbor. 1121 sq. ft., + 528 in finished lower level, 2 bedrooms and 2.1 baths. $175,000. 3121 E. Village Cir., Ann Arbor. 1121 sq. ft., + 528 in finished lower level, 2 bedrooms and 1.1 baths. $175,000. 3091 Village Cir., Ann Arbor. 1121 square feet with 2 bedrooms and 1.1 baths. $170,000. 3066 N. Village Cir., Ann Arbor. 1121 square feet with 2 bedrooms and 1.1 baths. $167,700. 3061 N. Village Cir., Ann Arbor. 1121 square feet with 2 bedrooms and 1.1 baths. $166,000. 3087 Village Cir., Ann Arbor. 1121 square feet with 2 bedrooms and 1.1 baths. Currently, the average sale price of condos at Turnberry Village is $172,435, which is a large increase of 19.5% compared to the ASP in 2016. The average price per square foot for the 10 condos sold in 2017 is $156.00, which is also a large increase of 18% in comparison to the A$/SF of $132.00 in 2016. 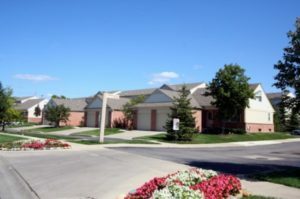 For more details and information about Turnberry Village, contact the condo specialists with The Bouma Group at (734)761-3060 or email info@bouma.com. View the previous market report for Turnberry Village here!